pianist Kim Rushing. She emailed me directly instead of commenting on the blog itself because, she noted in her email, she couldn't find the "comment" link. You have to actually go online to my blog to find the "comment" link and be able to comment. 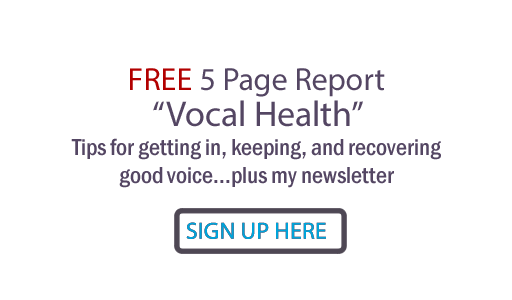 Just click on the title of your emailed blogpost (either "All Things Vocal" or the title of the article itself). You'll be taken to my blog. Look for, and click on, the "comment" link at the bottom of any post you wish to comment on. Then chime in to the conversation! And thanks so much to Kim for notifying me of the problem. I will copy Kim's comment into the comments link to share what she wrote.